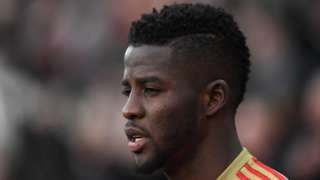 Sunderland's Papy Djilobodji denies a charge of violent conduct after an incident involving West Brom's Darren Fletcher. Monday's coverage has now come to an end. Thank you for joining us. For updates throughout the night head to BBC Tees, BBC Newcastle and Look North and online. We'll be back at 08:00 tomorrow with more news, sport, weather and travel. 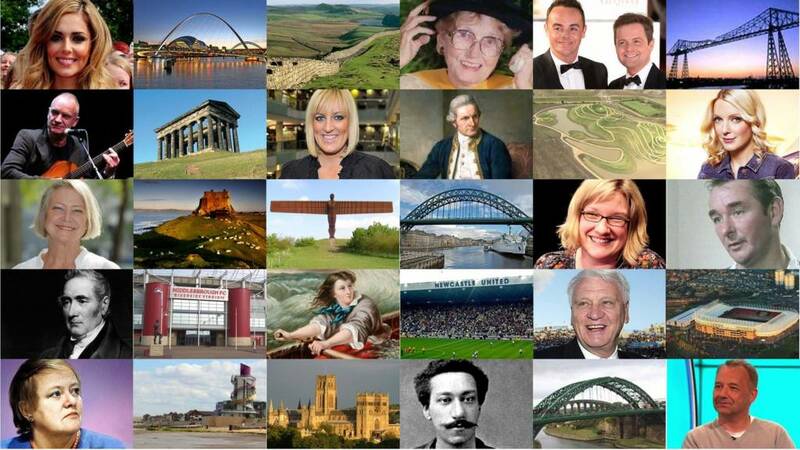 If you would like to contact us then do so using Twitter, Facebook, or via email at northeast.locallive@bbc.co.uk. Cold during the evening and overnight, with clear spells allowing a patchy frost and perhaps some freezing fog patches, these more likely in the south. It should become cloudier and breezier in northern parts to end the night. Check the weather where you are. Crime-writer Ann Cleeves has been awarded the CWA Diamond Dagger, the highest honour in British crime writing. Ms Cleeves, who lives in Whitley Bay, is the author of The Vera Stanhope novels, which have been adapted as the popular TV series Vera. The author said: "I am privileged to have had such a happy career and I will always be grateful for the support of booksellers and forever indebted to the passion and expertise of librarians, without whom I wouldn't still be writing today." A193 Northumberland both ways severe disruption, between B1505 Horton Road and Spring Park. A193 Northumberland - A193 Bebside Road in Bebside closed in both directions between the B1505 Horton Road junction and the Spring Park junction, because of a police incident. Two men were stabbed in Newcastle on Friday. The men, aged 36 and 40, were taken to hospital for treatment and have since been released. Police believe the men were involved in a fight with a number of others shortly before 20:00 inside an address in Springfield Road, Blakelaw. A cyclist was bitten by a dog in Northumberland on Saturday. The 32-year-old man was cycling down the old Mineral line between Laverock Hall and Seaton Delaval when a Doberman bit him on the leg, causing a puncture wound. The dog owner stopped to check on the victim, but continued to walk towards Seaton Delaval, Northumbria Police said. A children's author whose body was found in a cesspit "panicked" about forgetful incidents in the weeks before she vanished, her mother told a court. The Northumberland-born author was found dead at her home in Royston, Hertfordshire, last July. Her fiancé, Ian Stewart, 56, denies murdering the 51-year-old by plying her with sedatives in a financially-motivated plot. Eileen Bailey told St Albans Crown Court her daughter had felt "highly anxious" and "spaced out" all the time. There are delays of up to 10 minutes on Virgin Trains East Coast between Alnmouth and Morpeth due to level crossing problem. A1018 County Durham northbound severe disruption, between A19 and B1285 Stockton Road. A1018 County Durham - A1018 in Seaton closed northbound between the A19 junction and Seaham Grange Roundabout, because of recovery work. Drivers are being warned of likely disruption due to work on a gas main on the A167 Great North Road in Durham on Tuesday. Northern Gas Networks engineers will be on site until Friday. It will mean the closure of inside lane of the northbound carriageway and the outside lane of the southbound carriageway between Pity Me Roundabout and Plawsworth Roundabout..
Three fraudsters who posed as builders to con vulnerable elderly people out of thousands of pounds have been jailed. One victim lost almost £30,000, while an 87-year-old woman died after suffering injuries at her home. Phillip Orton, Lee Davison, and Scott Greathead, all of Hartlepool, were convicted of conspiracy to commit fraud and fraud by false representation. They were jailed for three years and nine months; five years and two-and-a-half years respectively. The man described as the leader of the gang, Michael Gales, is on the run having been found guilty of the same offences. A fifth member, William Levi Gales, was charged with manslaughter but subsequently died. The A6072 South Church Road in Bishop Auckland is partially blocked and there's heavy traffic near the St Andrew's Terrace junction, because of an accident. A woman has died following a collision on the A19 near Seaham, police have confirmed. It is believed a coach collided with a Vauxhall Corsa on the A1018 slip road this morning. The driver of the car, a woman in her 50s, was taken to James Cook Hospital where she later died from her injuries. The driver of the coach, which was empty of passengers, was shaken but uninjured. Two Hartlepool care homes that closed forcing some residents to go out of town are due to re-open their doors. Newcastle University student Saffy identifies as non-binary and pansexual. Three men carrying a small axe attempted to rob a shop in Newcastle last week. Two of the men approached the counter of the shop in North Terrace and one of them produced the weapon and demanded money. The third man stood at the doorway and kept watch. The staff member refused and all three left the store empty handed. These llamas were spotted munching away in Newton-on-the-Moor, Northumberland. We hope you are enjoying your Monday as much as they are. If you'd like to share you pictures with us you can do it via Twitter, Facebook, or email. The A19 is clear after an accident near Seaham earlier, however the A1018 slip roads remain closed in both directions, Durham Police say. A woman was taken to hospital in a serious condition following the collision between a car and a coach earlier. North East Labour MPs have written to the Prime Minister about how a Brexit deal could affect the car industry after comments made by Nissan's chief executive. Speaking at the World Economic Forum in Davos last week, Carlos Ghosn said Nissan would review the competitiveness of its Sunderland plant once the final outcome of Brexit negotiations becomes clear. The letter sets out 10 questions for Theresa May, ranging from guarantees on jobs, assurances made to Nissan and access to tariff-free trade.